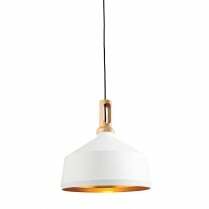 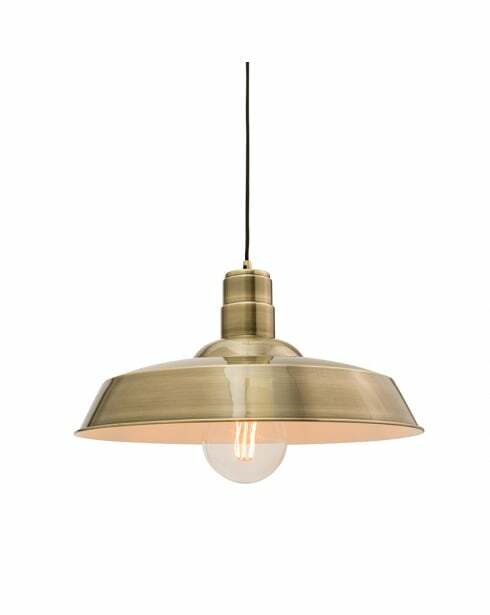 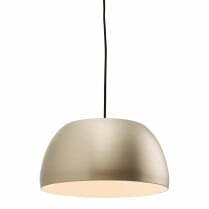 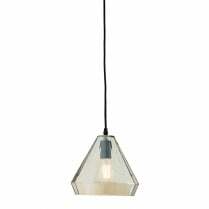 The Moore is a Single Light Pendant from Endon with an oversized antique brass shade and contrasting white inner. 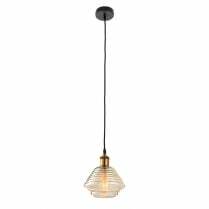 When used with a filament bulb, the Moore will give off a glowing light that is ideal for lighting up your breakfast bars or dining room table. 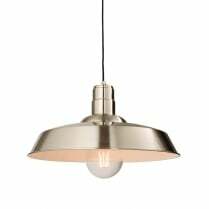 A satin nickel version is also available for more traditional décors. 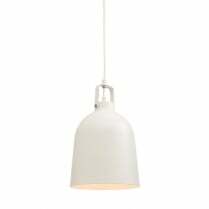 Suitable filament bulbs can be found in the Accessories section of the website.